Israel’s former defence minister Ehud Barak has said in an interview that three Iran attack plans backed by both himself and Prime Minister Benjamin Netanyahu were blocked by the military. Barak, defence minister from 2009 to 2013, told the privately run television station Channel 2 overnight Friday that the plans were drawn up between 2009 and 2010. They were approved both by him and Netanyahu, but the response of the then chief of staff, General Gaby Ashkenazi, “was not positive”. Ashkenazi’s successor, Benny Gantz, told the country’s political leadership that “the possibilities [for an attack on Iran] exist, but you know its limitations and risks,” Barak said. He said the military’s reservations convinced two members of the eight-member security cabinet – Moshe Yaalon and Yuval Steinitz – not to back such a plan, depriving the premier of the necessary majority to proceed. Yaalon, the current defence minister, had the strategic affairs portfolio at the time, while Steinitz, who is now infrastructure and energy minister, was then finance minister. Barak said an opportunity in 2012 to attack Iran was shelved as it would have coincided with large joint military exercises with the United States, “which was likely to embarrass Washington and give the impression the Americans were directly involved in the attack”. In 2013, former prime minister Ehud Olmert accused his successor Netanyahu of spending nearly $3 bn on preparations for an attack on Iran that never materialised. For years, Netanyahu has trumpeted the threat to use the “military option” to prevent Iran from acquiring nuclear weapons. He categorically opposes the agreement reached in mid-July between the Islamic republic and major powers which will lead to the lifting of economic sanctions against Tehran. Netanyahu and a large majority of Israeli politicians believe the agreement is not strict enough to prevent Iran from acquiring nuclear weapons which they could use against Israel. 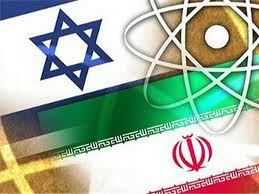 Tehran has constantly denied its nuclear programme has a military dimension, saying it is for purely peaceful purposes.